a healthy and beneficial amount of resistance for your workouts. Weight Set Available: Gray - 10 lbs pair (5 lbs each). Dimension: 8.46" x 3.15"
100% Satisfaction Warranty: 60-days money back and 18-month replacement warranty. We will offer you best after-sales service if you have any dissatisfaction with our products. Wish all of our customers to be satisfied with REEHUT products. Looking for a convenient way to add resistance training and gain more of a challenge from your workout? Incorporate a pair of our Empower ankle weights into your fitness routine or normal activities for greater performance. Whether you are walking, jogging, running or doing a boot camp cross-fit class, ankle weights will increase intensity and increase strength. 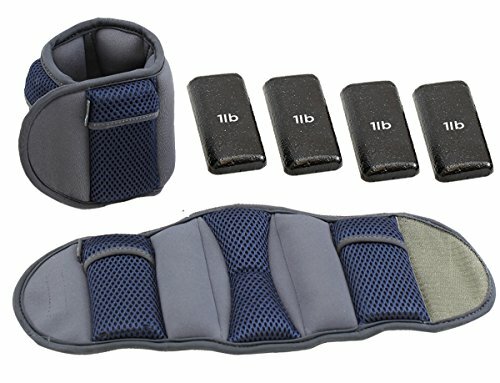 Ankle weights tone and sculpt and are great to use for leg lifts, bicycle crunches, kickbacks, leg extensions and more. Designed exclusively for women, our adjustable ankle and wrist weights for women allow you to target all major muscle groups. Empower ankle and wrist weights are constructed of high quality soft neoprene fabric and provide a secure and snug fit around your ankle or wrist. Filled with iron sand, the reinforced double stitching insures our wrist weights will provide years of use. Our Empower ankle or wrist weights for women are convenient for a variety of workouts or everyday activities. 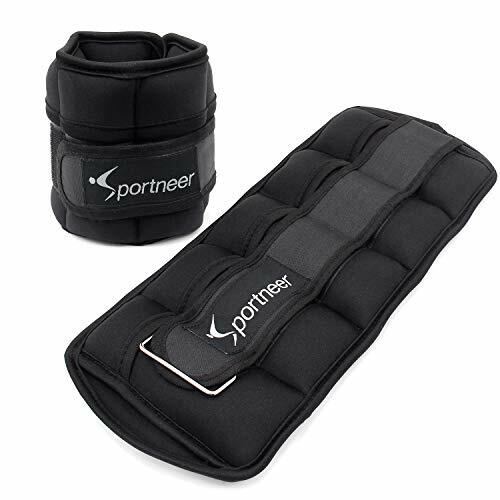 Ankle weights and wrist weights are easy to carry and are portable providing easy access to strength training just about anywhere; in the gym, at home, in the office or traveling. Adding ankle weights and wrist weights to your walking or jogging routine will provide fitness benefits of a more strenuous workout. Incorporating weight training to your cardio workout will burn calories long after you have stopped working out. The combination of strength training and cardio assists in efficiently losing fat while gaining lean muscle, which results in burning more calories in a shorter amount of time. Strength training helps build bone density. Targets all major muscle groups. Adjustable hook and loop Velcro closure provides a secure snug fit. High quality stretchy neoprene fabric prevents chaffing. Maintain with spot cleaning as needed Each ankle/wrist weight measures 13.5 L x 5 W x .75 H Empower! The spirit of Empower lies within the hummingbird. She s resilient and powerful, joyful and beautiful, playful, independent and strong. The hummingbird may be tiny but she s mighty and she never gives up. At Empower, we exist to empower women to be happy, healthy and strong. Empower is a community of real women who simply want to feel better, look better and feel just a little brighter in our brains. We re about healthy not hip, fitness not perfection, and strength not guilt. We started Empower Fitness to design fitness products for the busy woman who can t spent her valuable time in the gym. Our products are innovative and accessible. We are here to educate, motivate and inspire. The Da Vinci adjustable ankle weights are manufactured with the comfort and ease of use in mind. Made of soft cloth exterior with velcro tightening band making them adjustable to a variety of ankle and wrist sizes while absorbing moisture. While tightening the weights, the soft material stretches to provide a comfortable tight grip around ankles so the weights do not move during exercise. Use ankle weights to enhance balance or strength training. 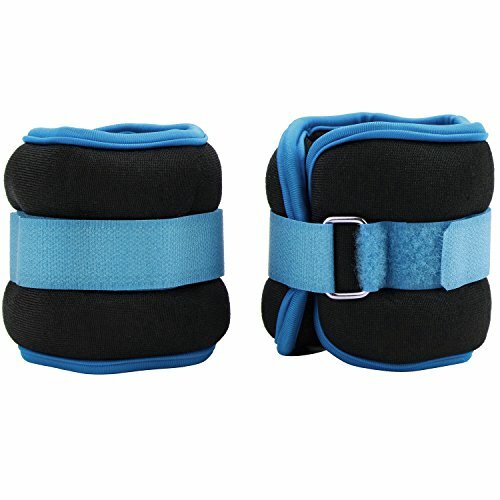 Ankle weights are frequently recommended and used by physical therapists, chiropractors, occupational therapists, trainers and athletic coaches in rehabilitation exercises and sport training. Available in multiple vibrant colors and sold in pairs as shown. Dont have time to work out? 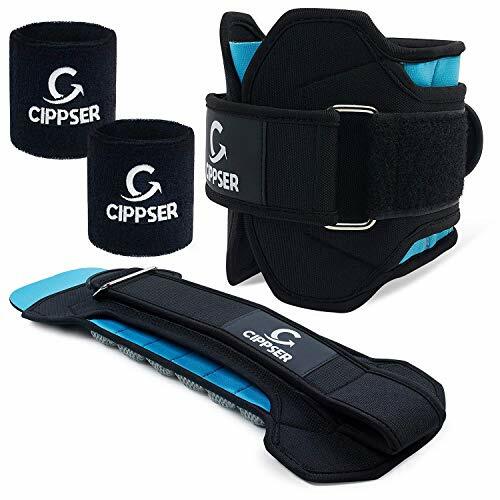 Cippser s Team of product designers with the advice from over 100 professional athletes created the Limited-Edition Ankle Weights for anyone who wants to build up muscles quickly while getting their body looking more toned & esthetic. 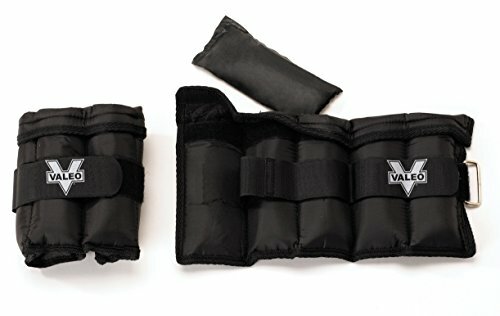 Why are our Adjustable Ankle Weights unique? 1. Comfort is our #1 Priority > no one wants skin irritations, scratches or loose weights on their ankles, that s why our unique design FULLY covers your ankle and the metal D-Ring never touches your skin Zero Stress! 2. Buy it Once, Have it Forever > we know that other weighted straps are poorly-sewn and they rip quickly our army stitching is Rip-Proof and the VeIcro is 2 times stronger than anything else on the market Test it your self! 3. 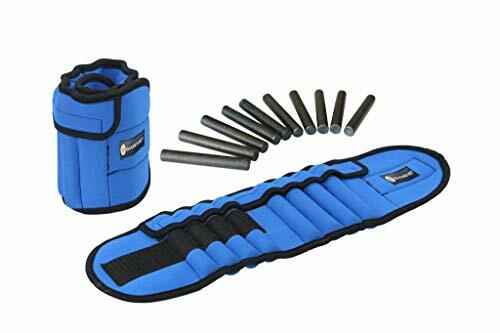 Sand Weights are better than metal ones> the sand from the evenly placed pockets will mold after your ankle shape providing higher comfort without weight shifting during dynamic exercises or fast running! 4. Who doesn t love a GIFT > our handmade design is sleek and works for men & women while getting anyone excited about their new workout Make them smile! Lifetime Warranty - If you encounter any issues with your Fitness Weighted Straps, please contact us & we will fix it immediately! It s time to achieve your goals & get the best body YOU DESERVE IT . Add your Premium Ankle Weights to cart now and receive 45 VIDEO EXERCISES to tone your body. *Offer valid only this week. THE PERFECT GIFT FOR AN ACTIVE PERSON- If you are looking for a great gift that has an INNOVATIVE extra-cool factor, then you would love our Exclusive Set of Leg Weights. 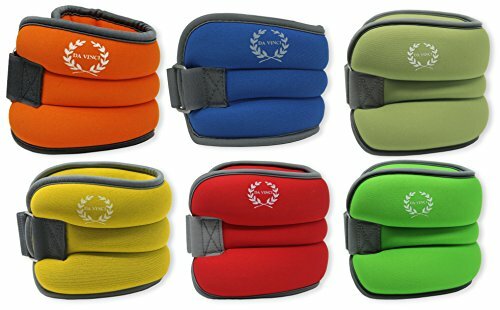 The UNIQUE design is suitable for MEN & WOMEN while the set of 2 weighted straps comes in 3 sizes (1, 2, 3 lbs.) to track progress & avoid injuries. The LONGER VeIcrofits on an anklebetween 6 and 16. As our gift to you, we included 45 VIDEO EXERCISES to tone up your body.- MAKE SOMEONE HAPPY! YOU DESERVE ONLY THE BEST QUALITY! We pride ourselves on providing only TESTED & PREMIUM products with LIFETIME Warranty and amazingUNITED STATES based customer support for our community of ambitious customers. We designed the Size Adjustable Ankle Weights with ATTENTION-TO-DETAIL to offer FASTER RESULTS and add CONFIDENCE in your daily life. Add to cart one of our 2019 Premium Leg Weights and if you aren't 110% happy, we'll provide you with a FULL Refund.